Which model attracts the young most and leads the trend in the watchmaking industry? It’s a skull-themed watch, I think. 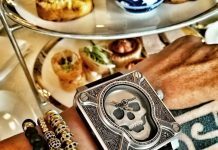 Bell&Ross has launched 8 types of BR 01 skull-themed watches so far, and they sell well and win a high reputation. Why is Bell&Ross pilot’s watch decorated with skull patterns? What is the connection between them? Of course. BR 01 skull watches have a deep connection with the military field. Bell&Ross BR 01 Skull collection pays its respects to the legendary history of paratroops during the Second War. 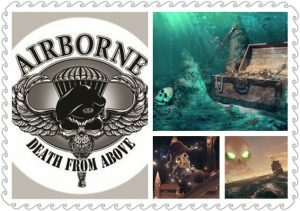 Those elite warriors wore badges with skulls and words “Death From Above”. 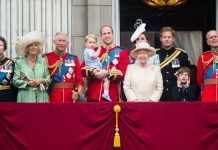 They did in the way in order to remove the bad luck and make enemies feel fearful. Warriors from the 101st Airborne Division and the 82nd Airborne Division of the United State fell from above and landed in Normandy at dawn on June 6, 1944, and they indeed played critical roles in that war. In ancient ages, the strongest and bravest warriors wore skull patterns to show their fearlessness. To today, skull patterns are seen on the military equipment. Inspired by the spirit and culture, Bell&Ross build a skull-themed collection in 2009. 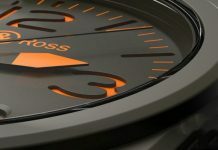 Bell&Ross released the first BR 01 Skull watch in 2009. Two new members joined BR 01 Skull collection in 2015, and they are BR 01 Skull Bronze Tourbillon and BR 01 Skull Bronze. In 2016, BR 01 Burning Skull came. 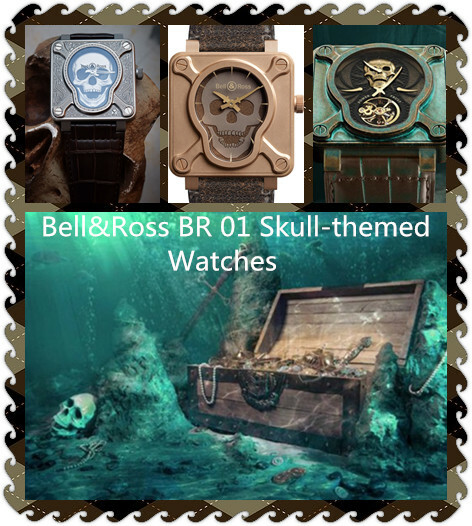 BR 01 Skull Bronze model is loyal to a skull and crossing bones which is similar to Jolly Roger. Hands on the raised dial echo to sabers and daggers used in the military field. 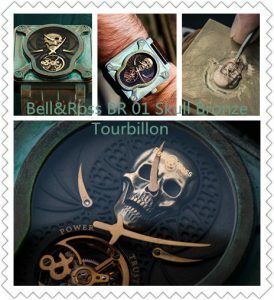 Bell&Ross BR 01 Skull Bronze Tourbillon is the only one in the world, and BR 01 Skull Bronze is limited to 500 pieces. Bell&Ross BR 01 Skull Bronze Tourbillon, 46mm, features bronze watch case, hand-made skull in pure gold, manual-winding movement with a tourbillon, a regulator, a accuracy indicator and power reserve and vintage alligator-skin strap in brown. It’s a unique watch fusing a precise movement, vintage watch case and skull-themed meaning and spirit. The tourbillon rotates in rose gold frame under the protection of the skull, and it plays an important role in improving accuracy. To pay homage to high end craftsmanship, the movement is visible through sapphire case back. Bell&Ross BR 01 Skull Bronze Tourbillon would show distinctive charm as seasons, climate and humidity change. It was auctioned at OnlyWatch, and the money would be given to Association Monégasque contre les Myopathies (AMM) . 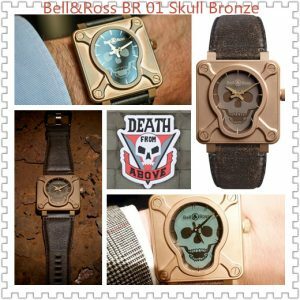 Bell&Ross BR 01 Skull Bronze, 46mm, features square bronze watch case and high performance movement, BR-CAL.302. Screw-in crown help waterproof property reach 100 meters. Cone-shaped hour markers in pure gold stand out through sapphire crystal. It shows Steampunk style perfectly. From 2009 to today, Bell & Ross keeps challenging traditional craftsmanship. BR 01 Burning Skull fused military features and art tattoos to make the public surprised. 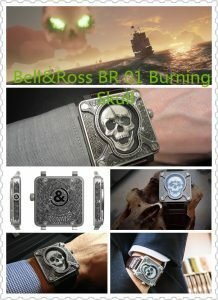 Bell&Ross BR 01 Burning Skull, 46mm, mechanical movement with automatic winding, BR-CAL.302. Square watch case in 316 L stainless steel with screw-in crown. Dagger-shaped hour hand, saber-shaped minute hand, hour markers on skull-shaped bezel. Front and back of watch case are treated by engraving and lacquering crafts. Alligator-skin strap in brown. Water resistant to 100 meters. It’s limited to 500 piece in the world. In addition to skull, the watch features fire-shaped, heart-shaped, rose-shaped, sickle-shaped and hourglass-shaped tattoos which lurk overall surface of the watch case.